A Home-Based Business That Works, Over 400 Franchises! For more than 20 years, Club Z! has been helping students reach their full academic potential. Whether in home or online, using the student’s school curriculum or one of Club Z!’s 6 proprietary curriculum products, Club Z! offers a solution for every student! From reading, writing and math to learning disabilities, foreign language instruction, and SAT/ACT prep, the possibilities exist for an ever-expanding client base. Our Area Directors need no previous experience in the education field. Club Z! provides you with a proven step-by-step business plan and a full complement of support systems including a full-service marketing department, corporate call center, proprietary business management software, proven curriculum, and branded online tutoring and test prep platforms. The private tutoring market continues to boom, even in a soft economy. The tutoring market in the United States is estimated at over $10 billion per year. Worldwide, the tutoring market is projected to be $100 billion by the year 2017. The main reason for growth is colleges and universities becoming increasingly selective in who they will admit. This is and will continue to be a key market driver for years to come. Club Z! franchise owners manage a staff of tutors that provide one-on-one instruction for students in the comfort and convenience of the student’s home at an extremely competitive rate. If you have a desire to start a business of your own, follow a proven plan and want to team up with industry leaders, then Club Z! could be for you. K-12 1 to 1 tutoring – Our tutoring is conducted in the home of the student or another mutually agreed location. Club Z!’s program is extremely effective; our average student improves two letter grades in just 60 days. Test Prep – We offer proprietary programs for the PSAT, SAT, ACT and Study Skills. Our average student improves 240 points on the SAT and 3-4 points on the ACT. Club Z! also offers test prep programs for the SSAT, ISEE, GMAT, GRE, LSAT and MCAT. These programs may be offered online, 1-to-1, or in small groups. College Admissions Consulting – Club Z! has developed a network of professional college admissions counselors to help students with the entire college admissions process. 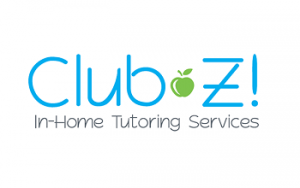 Online Tutoring – Club Z! franchise owners can offer online test prep, subject tutoring and our ON-Demand homework help program. The corporate office currently recruits, screens and trains all online tutors to perform services on behalf of the franchise owners. Home-Based/Low overhead – No storefront needed. Work out of your home! By eliminating the high overhead associated with a storefront or learning center, Club Z! owners can focus their resources on advertising, marketing and management. We furnish qualified tutors – We provide franchisees with pre-screened tutors; all with certifications and/or degrees with 2+ years of proven tutoring experience. All Subjects/Grade levels – Club Z! also has proprietary curriculum such as SAT, ACT and Study Skills programs so that franchises can offer top quality programs to its students and schools. National Advertising/Marketing support – Club Z! spends hundreds of thousands of dollars on national advertising programs each year for our franchisees. Club Z! also offers a national scholarship fund known as our Annual Achievement Award. This $25,000 annual award gives franchisees a tremendous marketing/networking tool for their local market. Our call center, your competitive advantage – Our call center answers all incoming calls from prospective clients for our franchise owners during business hours. This one-of-a-kind service “sells” your potential clients on using our service, and even schedules your enrollment meetings using a web-based calendar. Government contracts – Franchisees, if qualified, may have the ability to provide tutoring services to students and/or school districts through State and Local government-funded contracts that are already secured by the corporate office and neighboring franchisees. Corporate Training – Club Z! provides intensive training at our corporate location in Tampa, Florida. For your convenience, on-line training (with an instructor) is also available for franchisees that wish to begin operations within a quicker time-frame, or need more time to complete our training program. Franchise owners that elect to receive online training are also welcome to participate in our in-person training program in Tampa at a future time. Unparalleled ongoing support – You will have unlimited access to our staff during business hours and 24/7 access to our Club Z! intranet; including databases, documents, conferences, conference calls, real-time forums and many other tools to assist with the growth of your franchise.